The healing process to recover from injury is a deeply personal one. Often long and complex, if you become seriously hurt in an accident, one of the biggest surprises is the length of time it can take to feel completely normal again. The event can be life-changing, both physically and mentally, challenging our relationships, sometimes our jobs, and usually our perception of ourselves. If you are quite active, then having the body that has always supported you in the toughest endeavours suddenly feel like it's working against you can be incredibly frustrating, and one of the hardest things to come to terms with. Recovery takes time, and lots of acceptance. Here’s how to ensure that you make the best one possible. Half the battle is learning that you can’t just rely on yourself anymore. Many of us are used to be self-sufficient and don’t like to depend on others - but sustaining a serious injury forces you into a position of accepting all the help you can get. And the quality of that support can have an enormous bearing on how well and how quickly you recover. It’s essential to make sure that you learn to accept help when it's offered - whether that be from family or concerned friends and colleagues. It helps other people, who may have been shaken up by the incident, come to terms with it themselves if they can offer support to you. You don’t need to make things harder by trying to be completely independent too early on - that will come in time, as you recover and gain strength. For now, use the opportunities to channel your energies into healing. Make sure you have access to the right resources too - a great lawyer for personal injury claims who can fight on your behalf, and the right medical specialists and physical therapy support to help you recover. Consider ways to make your own life easier in the short term - could you have someone move in? Gear your circumstances towards getting back to full health, but be aware that it could take time. Take a moment to acknowledge your own private grief and frustration that this bad thing has happened to you. If you don’t properly address these feelings, they can cause problems further down the line. But once you’ve worked through them, make a conscious decision to focus your energies positively. Going too far with bitterness won’t change what’s happened - or make you better. Think about what you still have in your life that makes you happy, and what you can still give to others. A simple practice such as keeping a gratitude journal can help you to rewire your thinking. The fact is, recovering from injury takes a tremendous amount of mental effort - so you need to reserve your energy for supporting this, rather than spending them in what could have been. If you feel like your control has been taken away, claim it back but owning the decision to recover positively. Your injury may have temporarily - or possibly permanently - altered what you can do on a daily basis, and if you were a very active person, exercise may have been your source of feeling good. So discover what you can still do in the way of physical activity, and make doing it a daily routine, even if it's only a ten minute walk, water aerobics if you need something low-impact or a light yoga routine. It gives you a platform to build on and makes the habit of physical activity continuous. Think about what other practices you could take up for your personal wellbeing as well. Introducing a mindfulness practice can be enormously beneficial in calming anxieties and strengthening you mentally. If you have more time being away from work or your usual routine, what can you use that time to explore instead? Having something concrete to aim at with your recovery is extremely important, so take the time to work out what is realistic and achievable. Aiming too high to start off with and failing to reach it will only lead to frustration and setbacks, so consider what good looks like in your specific situation. 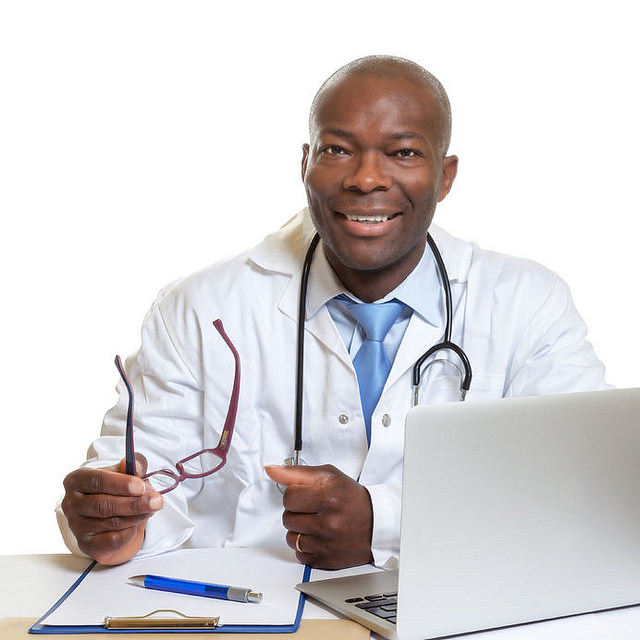 Medical professionals will be able to advise you on goals that will represent a good amount of progress for you, while still being possible in the short to medium term. Successful aims that work as a motivational tool must be grounded in reality - so start off small and go from there. Realise also that physical recover often demands a lot of tedious repetition. This can be incredibly hard to deal with, so find a way of making the big picture of your recovery a tangible part of the process. Aiming to visit somewhere in particular when you’re fully recovered? Get pictures of that place printed up and stuck around the room. Be aware also that progress can plateau over time. It may be that you meet your initial goals relatively quickly, but then find that further gains become much harder. This is a normal pattern of recovery, so try to bear that in mind if you find yourself disappointed. It sounds overly simplistic, but a surprising amount of your recovery will come from getting the basics of nutrition, hydration and rest correct. It's easy to slip into bad habits based around junk food when you’re stuck at home all day - but eating the right foods can help to reduce inflammation in the body, making repair much easier. Consuming the right foods will also give you the energy you need to heal up. Seek out natural superfoods that lower your blood pressure, reduce toxins and boost your immune system. Rest is also critical. If you’re finding it hard to sleep at night, make sure you make time for daily naps to catch back up. Turn your bedroom into a restful environment with the correct lighting levels for sleep, well away from noise and free of blue-light emitting electronics that interfere with the production of melatonin, the sleep hormone. With these basics right, you can hope to make a good recovery and get back to your normal life much quicker.